Bury Your Dead has been named the Canadian Booksellers Association top hand sell of the year. The Globe and Mail, Halifax Chronicle Herald, Amazon.com among others have chosen Bury Your Dead as one of the best crime novels of the year. 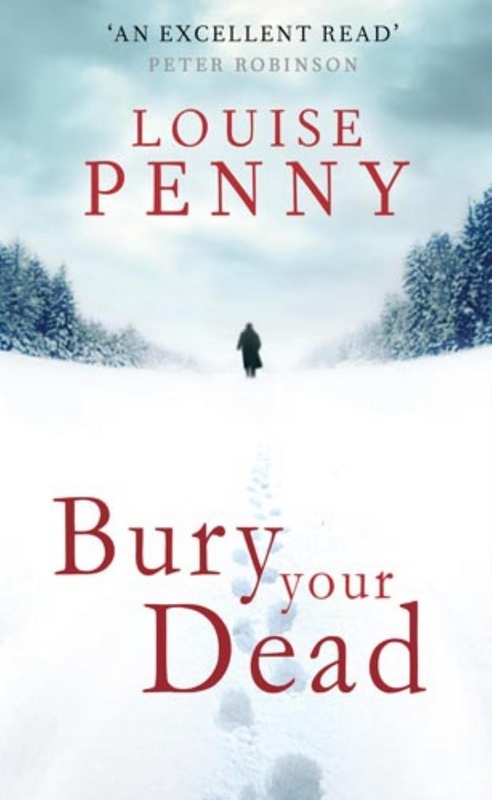 Bury Your Dead recently won the Dilys Award in the US, as the book mystery bookstores most liked to sell in 2010. As well, Bury Your Dead has been nominated for the Agatha and Barry mystery awards, and the American Library Association and AudioFile magazine have both named the book as Best Mystery of 2010. Read more about reviews and recognitions for this book. Is your book club discussing Bury Your Dead? Get the most out of your meeting by using the helpful discussion guide and online resources. Be sure to read the book, discuss it, participate in an event, and let the community know how you got involved. Email us, visit your local library, fill out a ballot, attend an event and meet the author. And be sure to share your thoughts with your friends and family! Bury Your Dead is available in print and audio book formats. It is available at all public libraries and bookstores in Waterloo Region. Louise Penny has a wonderful website and blog. To learn more about Louise, her novels, and much more, visit her site.